1. Mix the mayonnaise, vinegar, salt and black pepper in a bowl. 2. Add the remaining ingredients and toss well to coat. 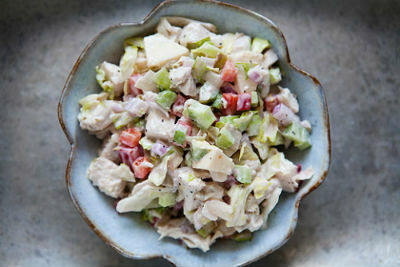 Feel free to comment or share your thoughts on this Pistachio Chicken Salad Recipe from Awesome Cuisine.